It’s been raining here on and off all day. Now 25 hours into the new year, I am given cause to reflect yet again – not about the past year or where my life is, but on the life of my Uncle Sonny, who passed away just hours ago. Henry Smith lived a long and exceedingly full life; many loved him and those who were fortunate enough to know him could only form lasting memories. 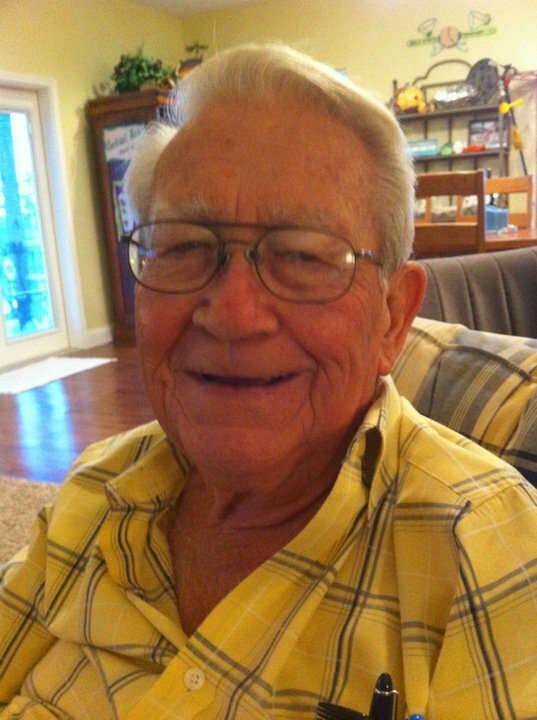 He was, in many respects, larger than life – a true Southern gentleman. He seemed to know everyone and was always quick to offer support to those close to him. Due to the constriction in this period of my family tree, he was my only uncle. Married to my mother’s eldest sister for nearly 60 years, he has been a fixture in my family for my entire life. He will be deeply missed. I write this not to elicit sympathy, but to pay respect to a man I have the utmost respect for. Indeed, I am fortunate enough to have known him, if sympathy is called for, feel sorry for those who did not know him. I do regret that, due to the distance between New Orleans and Northern California, I did not spend as much time with him as I would have liked, but I am absolutely grateful that I did spend the time with him that I did. And the same goes for my children, all of whom formed a bond with him that transcended space and time. Our visits were the stuff of legend, due in no small part to his efforts. Henry Smith has always persevered despite the challenges life has – and he has experienced more than his fair share. He always appeared to have a profound affinity for life and lived it with all the zeal humanly possible. Although his passing was sudden, it was known the end was near when he was diagnosed with liver cancer just a few days ago. He passed peacefully at home with his family by his side. The end was mercifully brief. I can only imagine the sorrow that my aunt and cousins are experiencing, but I know, too, that the memories he left are of some comfort. I am quite sure Uncle Sonny would not want us to wallow in sorrow, rather, he would want us to celebrate his life and in due time I am sure that will happen... and in grand style. But for now, it is time to reflect upon a man who no one could easily forget, a man who left an indelible impression on everyone he touched. Rest in peace Uncle Sonny. I just deleted 75 some odd words that seemed to be leading me nowhere. It happens. I wanted to write a 2011 New Years Day post reflecting on the past year. I wanted to pull reflective inspiration from my archives and convert it into a new arrangement of words that tells the remarkable journey life is. I wanted to put a frame around where I have been and where I am going. But as worthy as those wants are, it is clear that when this is finished I’ll be no closer to understanding what this journey is all about than I am right now. But for the sake of documentation at least, something should be added to this ongoing journal of life. I have written some sort of year-end reflection piece each of the past five years. Each has documented how the relative quality of the prior year has been "better than ever," "among the best years of my life" and similar accolades. And 2010 has earned the same recognition – it was a very good year for me. Much is proceeding according to plan and while I am on track to achieve a particular long-term goal this year, it has turned into yet another beginning – a beginning that has already started. For the past five semesters, I have been steadily working on my MA in communication studies at California State University, Sacramento. I am now just a thesis away. If all goes well, by May I will have completed my thesis, I will be awarded the degree of Master of Arts, and I will be exhausted. In addition to writing the longest and most involved work I have ever attempted, I am also charged with teaching 60 undergraduate students the art of public speaking. And since I have made the decision to continue my postgraduate education so that I can make that teaching gig a career, I am also vigorously pursuing admission to seven different Ph.D. programs throughout the country. This new direction will tack another four to five years onto my formal education, but it will also allow me to gain full-time, tenure track employment at an institution such as Sacramento State. In the past year, my world has expanded yet again – it was not what I had planned. In the coming weeks, I will be planning lessons, teaching, grading, researching and writing – this much I knew as long as a year ago. I will also be submitting applications to LSU, University of Southern Mississippi, and University of Denver – each of which requires careful consideration to propel my application to the top of a very competitive pool of candidates. My applications to Stanford, USC, University of Washington and Columbia University are already in. All are highly regarded schools and all accept only a small percentage of those who apply. I am hopeful, but just being qualified to apply is amazing to me. I never know what to expect anymore. Opportunities have come my way in the past, but I was never prepared or motivated to turn them into anything of lasting value. And perhaps that is the difference today: preparation and motivation. Everything that has come my way in recent years was built upon what came before it. My plan for 2011, therefore, is the same as it has been for the past five years… there is no plan. I do what is in front of me and just keep moving. When the doors open, I walk through them with the experience I have built upon from days passed. It is a simple plan, but it seems to be working quite well.